The one that starts in a few days is going to be powerful. 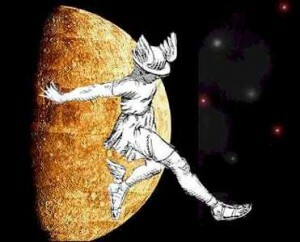 Jupiter, Uranus, Aquarius – Mercury backwards in an eclipse season will reveal more depth than you thought was possible. Expect BIG secrets to come out. Real shockers! I’m glad you’re paying attention to retrogrades. There’s a really good book on the subject, Karmic Astrology- Retrogrades and Reincarnation by Martin Schulman, you might find interesting.